You probably already know the basics. Don’t make sure someone comes in behind you without a key or who does not belong to the building, and don’t buzz in a visitor you don’t know. But is that enough? Whether a condo or a co-op, the community that is informed on safety measures and how to enforce them is more likely to stay safe. Having good security and protocols is a shared interest among much of the community. If you can work together to discourage intruders and take the measures to move toward safety, the community will be a safer place. Sometimes the security measures you need to take come with having such things such as an intercom or a front door locking system. However, most buildings do not have a specific responsibility to fulfill any security requirements. It is worth noting that if something happens and the knowledge of the risk factors is there, the building could end up facing civil action. Daily vigilance is also important. If the front of the building, the interior, and the surrounding areas are secure, then the rest of the building and its occupants are much more likely to be secure. All residents should perform basic security, such as locking their door. 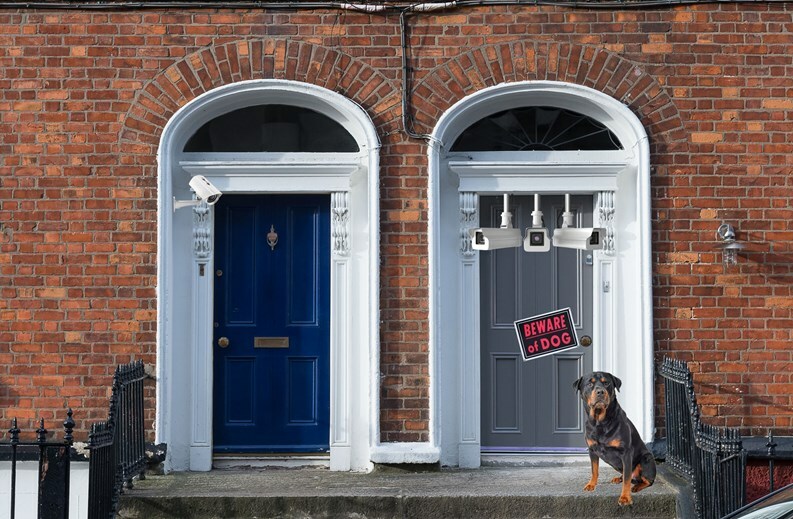 Notify management if you see anything suspicious or anyone that should not be there as well– a watch dog mentality can be very effective in keeping out intruders. You may want to see if it is possible to create a security committee or speak about security concerns at meetings. Making the subject a topic of discussion can go a long way to fighting crime and intruders. Beyond that, it comes to the basics. Is the property and the building well-lit or is it dark in areas? A little more attention to the lighting could be a great way to discourage any shady activity. Uniformed security staff may also help, as does surveillance. Keep in mind that surveillance may help more with solving crimes but not deterring them, whereas a uniformed guard is much more effective at being a deterrent. With the arrival of services such as Airbnb, more strangers coming into a building for short stays may require security. Your condo or co-op may allow it, or may not, but either way services like this create higher-risk situations. It is a better idea to use trained staff rather than volunteers because that opens a new can of worms. While it can seem efficient to do it yourself, the liability issues that would be faced and the fall-out from confrontation and more mean that it’s more of a headache and may not the right fit. When it comes to security and safety for a co-op or condo community, engagement and awareness are key. The overall security of a building comes down to the practices put in forth by the community or board, Make sure that your community is actively engaged with safety practices and following them and you can make sure your building is a safer place for all to live.